Costa Rica is the one country in Central America that simply has it all: tropical beaches, extraordinary wildlife, a diversity of landscapes ranging from rain forests and cloud forests to active volcanoes and rolling hills, and more adventure activities than any other country in the region. Most people don’t know this, but Costa Rica is a fantastic place for white water rafting, with class III and IV rapids, causing Frommer’s to name Costa Rica one of the ‘Top Ten Whitewater River Destinations in the world’. The World Rafting Championship even took place here! 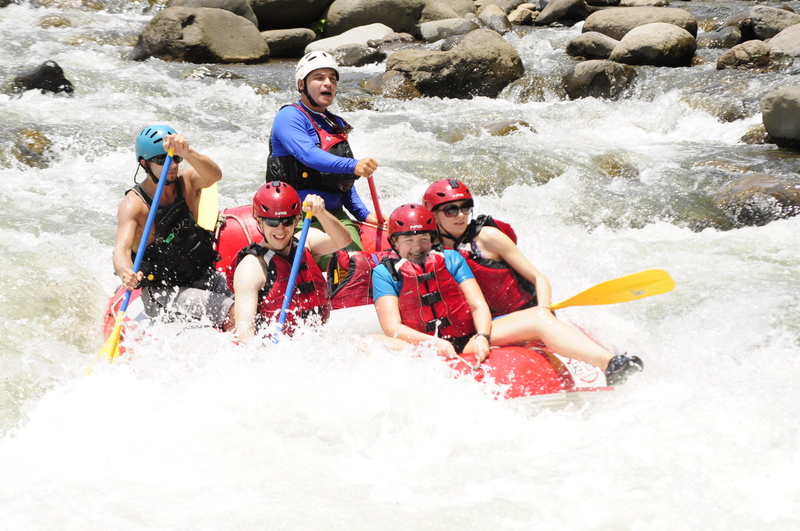 The Pacuare, Sarapiqui and Reventazon River are the biggest white water rafting destination, but with countless other rivers in the country, there are many possibilities for rafting in places like Arenal, Jaco and San Jose. And not only the rapids are spectacular, but also the beautiful tropical scenery you pass on the river: Depending on which river you’re rafting on, you’ll see mountains, wildlife, rainforests, pineapple and yucca fields – and no matter where you’ll raft, it will be an unforgettable experience with splashing waves, wild rapids and a great thrill. A trip on the longest river in the country, the Pacuare, can take up to two days, but shorter 10 mile trips are also possible, for example on the Sarapiqui River near Arenal. 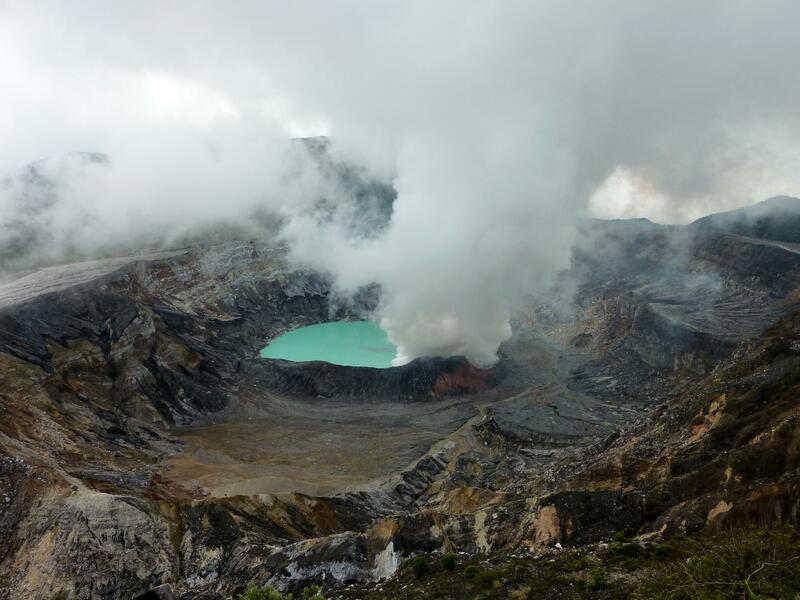 Irazú with its majestic 11,000 feet (3,800 meter) summit, from where you can see both the Pacific and the Caribbean on clear days, and its emerald-green crater lake. The lake can transform color, and sometimes it appears crimson-red! Poás, which has been pretty active in recent years, even causing the national park in the Central Highlands to close temporarily, and which has a fantastic lookout point above the crater with its bubbling sulfuric pool, which is 1 miles wide and 1,000 feet (300 meters) deep, making it one of the largest volcano craters in the world. At 8,885 feet (2,708 meters), Poás is one of the country’s largest volcanoes. 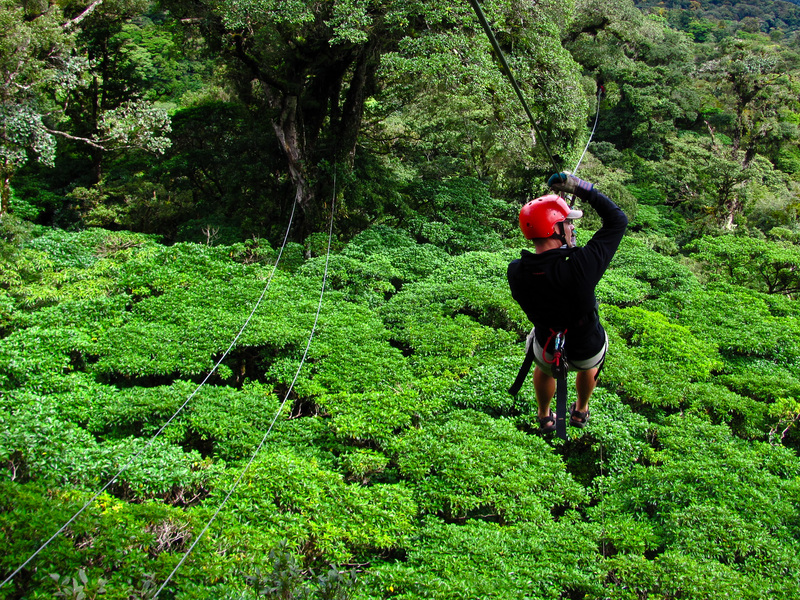 You can zipline in several places around the country, but my personal favorite ziplining spot is Monteverde with its lush green cloud forests. Nestled high in the mountains, Monteverde’s climate is a bit cooler than the rest of the country, but also causes a much more diverse flora and fauna and animal life, especially bird life. There are several ziplining companies here, but the Selvatura Adventure Park offers the most comprehensive canopy tour, including tree-top walkways, hanging bridges, a breathtaking one-kilometer long zipline and a heart-stopping Tarzan Swing. The park’s walkways and platforms are built right into the cloud forest, and you can zip through the cloud forest on 15 cables, enjoying the nature around you from a variety of different angles and vantage points. The tiny surf town of Nosara on Costa Rica’s Atlantic coast is, despite its small size, one of the most popular surf spots in the entire world. 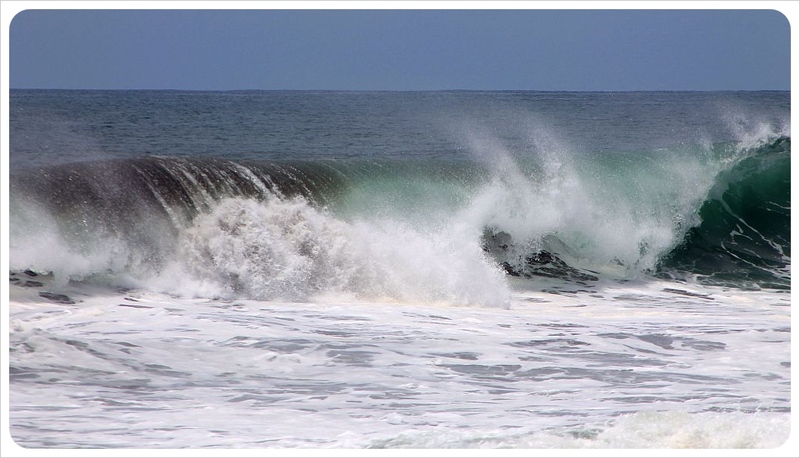 The surf break here are outstanding, and Playa Guiones, the town’s main surf beach with its 4 miles stretch of sand, is filled with surfers year-round. The long breaks here make it a great spot for both experienced surfers and beginners. The more daring surfers enjoy the more remote Playa Nosara, a black sand beach just north of town, with giant barrels created by shallow reef breaks. For newbie surfers, there are a number of surf schools in town, and the small number of tourists here create a much bigger relaxed community feel than some of the bigger surf towns in the country. The beaches are beautiful, and it’s one of the places in Costa Rica where the beach meets the jungle, meaning that you’ll see monkeys jumping through the trees on a regular basis but might also see sloths and other mammals. 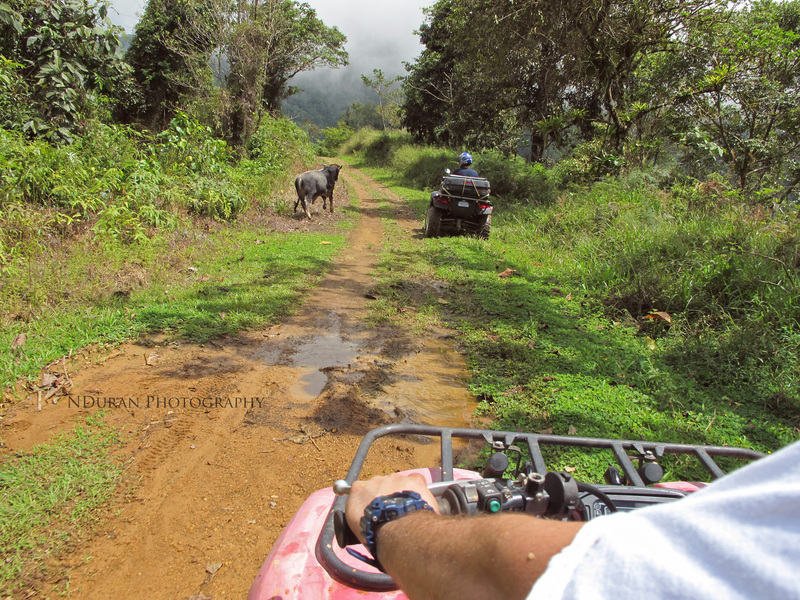 ATVing is highly popular in Costa Rica, with many locals cruising around on these little four-wheelers, and they are simply the best way to explore beaches, mountains, rain forests and other off-road terrain. The best place to experience Costa Rica’s tropical landscapes on an ATV is Guanacaste, where you find several ATV tours, for example in Jaco. They usually include ocean view points over the Pacific, colorful little villages, rain forests with a myriad of wildlife, waterfalls and watermelon plantations, all while whizzing around on the ATV, combining the thrill of the off-roading with a scenic tour of the country. Have you been to Costa Rica? What’s your favorite thrill-seeking experience? I haven’t been to Costa Rica hear though it is amazing. Definitely the volcano and zip lining are what I want to accomplish. Later this year I will be travelling in Costa Rica and Peru. I will only be in C.R. for 1 week and am staying at Langosta Beach. Please recommend a tour company which does river boat tours.